We believe high performance is more than the quality of our products. It is also the level at which our customers are served. ServTronics provides customers the latest in fully computerized systems, deep experience in the industry along with outstanding service. High performance means you will always have what you need, when you need it… hassle-free. ServTronics will be closed for Good Friday, April 19th and will re-open on Monday, April 22nd. 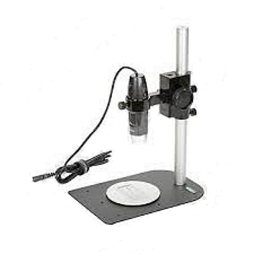 ServTronics is featuring products from 3M. 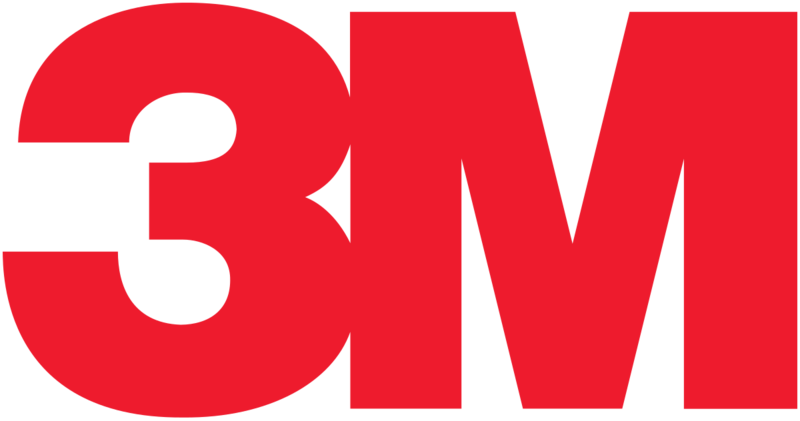 3M Electrical Markets products include Safety Product, Tapes, EMI Shielding, Industrial Adhesives and Sealants, Fasteners, Electrical Terminals, and much more. For a full listing of all the lines we carry, or to download a line card, click here. Things are heating up in this year's ServTronics Holiday decorating celebration! Here are a few photos of one of the leading contenders. Stay tuned for the winner! Pacific-West Fastener Association panelists Tim Roberto and Simmi Sakhuja offered insights on nickel pricing, steel costs and freight rates which affect fastener prices – so distributors can explain to their customers what is happening. Roberto, president of Star Stainless Screw Company, traced the price of nickel from a peak in September 2015, then plummeting to a low in February 2016. The February nickel price of $3.77 per pound was even below the $4.39 low of December 2008. Since February nickel prices have bounced up 26.25%.Nickel is the leading indicator of stainless pricing, Roberto noted. It is between 30% and 40% of pricing. Nickel is the fifth most common element on earth – following iron, oxygen, silicon and magnesium, Roberto explained. More than two-thirds of nickel goes into stainless steel production. A major factor in the price reduction at the start of 2016 was an economic downturn in China. A 51% majority of the world’s nickel consumption is by China, Roberto noted. An uncertain factor in coming months is a possible reduction in nickel production in the Philippines where the new president, Rodrigo Duterte, is focusing on environmental compliance in mining, Roberto said. Production will continue to lag in 2016 and the low nickel prices limit investment in new capacity, Roberto pointed out. Economists predict a 1.8% global output increase in 2017 with higher nickel prices and moderate demand increase. Roberto noted fastener buyers need to be aware of more than current stock costs: Calculate the replacement cost of inventory with fluctuating prices. Freight rates are a major concern in the coming year, Stelfast owner Simmi Sakhuja told Pac-West. Among the freight issues are new Verified Weight Requirements as of July, followed by the Hanjin bankruptcy. Then in September APL and U.S. Lines combined operations.The weight issue involves stacking containers on ships according to weight – with heavier containers lower. An immediate issue is importers “rushing to get product on the water before the Chinese New Year” when factories in China and Taiwan close. The price of steel in China has direct impact on fasteners and by the end of summer the steel cost was 31% higher than at the end of 2015, Sakhuja noted. There was a surplus of steel and flat pricing at the beginning of 2016, she noted. But in preparation for the G20 meetings held in September, China reduced production plus Europe started buying steel from China. Importers can provide distributors with information on freight and steel prices so salespeople “have the tools to educate customers,” Sukhuja said. Steel and freight prices “will continue to be a concern,” Sakhuja said. The uncertainty forces fastener buyers to “use a dart board” for purchasing decisions and “hope for stability,” Sakhuja observed. Fort Worth-based Novaria Group acquired ESNA, Elastic Stop Nut Corporation of America, (formerly MacLean ESNA), a manufacturer of nylon insert and all metal fasteners, from MacLean-Fogg Component Solutions. Novaria Group said the ESNA brand "will immediately expand to include complementary aerospace products such as tight tolerance bushings, mechanical standards, fluid fittings, machined products, and other internally threaded fasteners." ESNA will continue manufacturing operations in both Pocahontas, AR, and North Richland Hills, TX (formerly Fitz Aerospace). ESNA will operate within Novaria Fastening Systems, led by Monty Gillespie, Novaria Fastening Systems president. Both ESNA’s Arkansas and Texas facilities will be led by current ESNA general manager Dave Merwitz. ESNA has grown to manufacture certified aerospace and defense products that currently include nylon cap nuts, spline nuts, nut plates, all metallic nuts, clip nuts, 12-point engine nuts, shear nuts, tight tolerance bushings, and fluid fittings. These products use high-strength aerospace and defense-grade alloys such as Monel, stainless steel, titanium, Inconel, aluminum-nickel bronze, torlon and other specialty materials. “We believe this is the right long-term strategic move for ESNA and that Novaria's reputation and approach to the aerospace market will support the next phases of ESNA’s growth and customer approvals,” stated Dave Lomasney, president of fastener components for MacLean-Fogg Component Solutions. The deal comes days after Novaria Group acquired Ferco Aerospace. 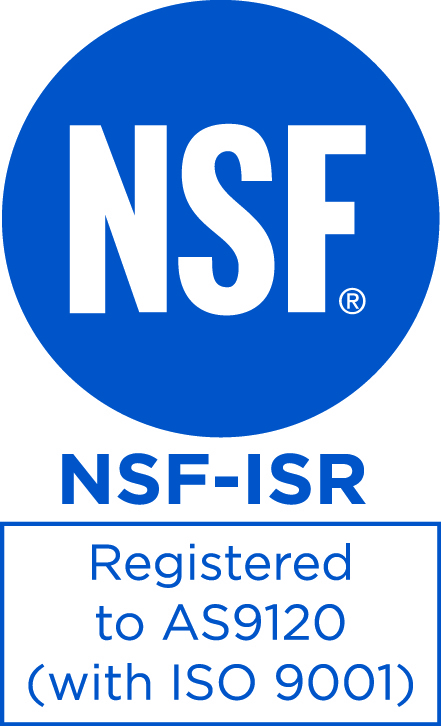 ServTronics management is proud to announce that the company has successfully completed the AS9120 REV A and ISO9001:2008 re-certification process, as required every 3 years. AS9120 is set of standards, which includes ISO9001:2008 and nearly 100 additional requirements related to the Aerospace and Defense industries. It addresses subjects such as lot splitting, traceability, document control, evidence of conformance, and chain of custody. Since becoming certified in 2012, ServTronics has undergone yearly surveillance audits, including this year’s total recertification, which is required every three years. 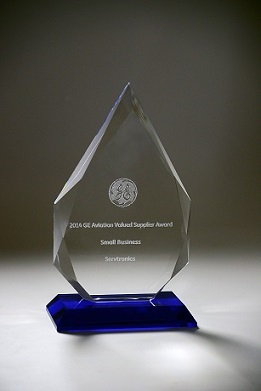 ServTronics is proud to accept the 2014 GE Aviations Valued Supplier Award. Congratulations to our whole staff at ServTronics! A big thank you to GE for the opportunity to earn their business.